As we were late and the party was in full swing, most of the stations were packed and I wasn't able to snap a shot of the real McCoy. But to introduce the star of the night: The LVC Queen is truly a regal sight to behold and I'm instantly a fan of it. Although it looks like just a single band, its versatility is that it conceals the inter-changable trait, where you can wear either as a dazzling statement piece or do the layering trend and split the rings up to wear multiple on each hand! It features an assortment of diamond bangs, a plain circlet and one that is intricately carved of the Monarch Butterfly which is a symbolism of new beginnings. 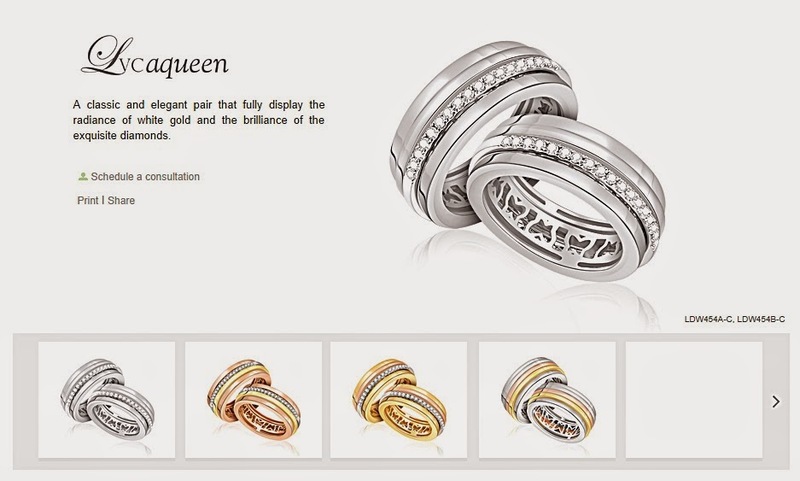 Available in the choices of white, rose yellow gold and even mix. Although neither Ben nor myself are in a rush to walk down that aisle, I figured that it would be good to know how to pick and choose a ring. 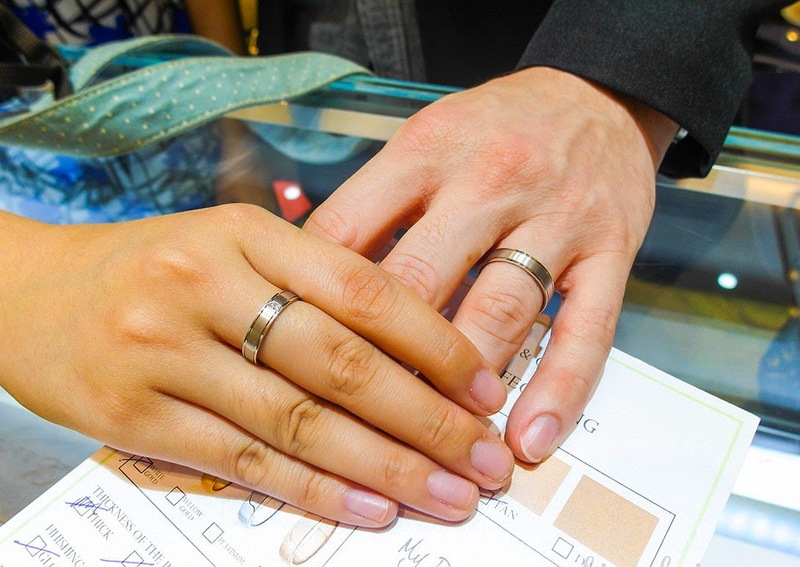 Our lovely attending salesperson patiently walked through us through the process from trying on their pre-sized bands; displaying her knowledge by advising what kind of metal would best suit our warm/cool skin colors, the thickness of the rings, etc. It's not as simple as it seems! In the end, the pair we both agreed on was this pair from their earlier collection. Two lines running down the bands to symbolize the path we'll both walk down together, and just a hint of bedazzle for the lady. Subtle, understated and just the way we like it! Thank you Love & Co for the invite! Before we left, simply had to take a shot with my 'King', her royal highness Celine. Dedicated to this awesome girlfriend of mine who has been a pillar of support since my blogging beginnings, means alot to me. Pssst..... Love & Co wants to know your love story! 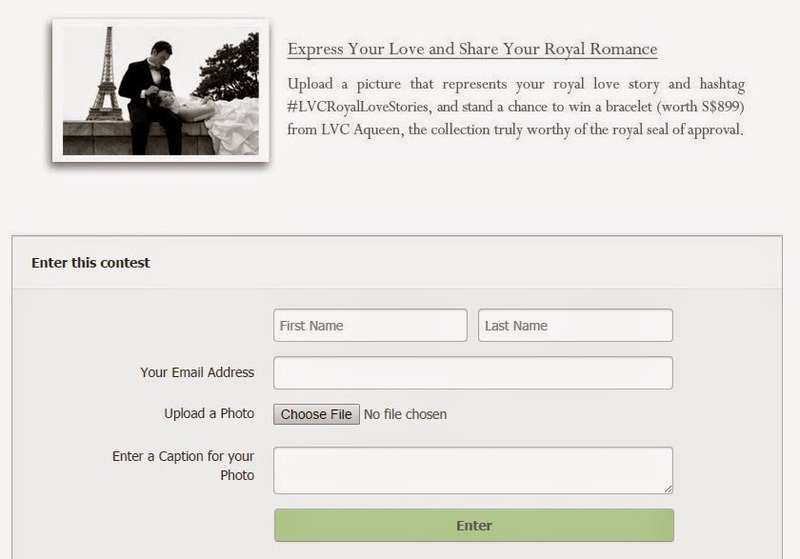 Check out their Facebook here where you simply need to upload a photo that best represents their royal love story. 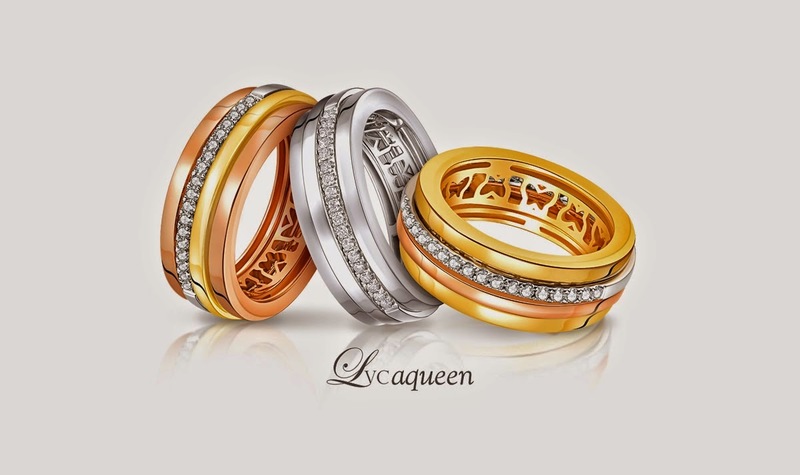 You could be the lucky one walking away with an exquisite coveted LVC Aqueen Bracelet (worth $899)! I'll definitely be trying my hand at this!